Alan Segal was a distinguished scholar known for his interdisciplinary research and writings about ancient Judaism and early Christianity. He earned two Bachelor degrees and received his Masters studying Near Eastern and Judaic Studies at Brandeis University (1969) and his Ph.D. studying the history of religions and Judaic Studies at Yale University (1975). 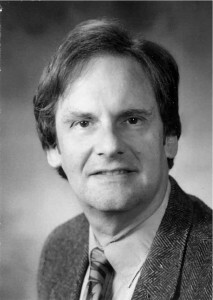 Segal held appointments at the University of Toronto and Princeton University before arriving at Barnard College in 1980. At Barnard, Segal taught for thirty years as Professor of Religion, and he was the Ingeborg Rennert Professor of Jewish Studies. Segal authored four significant monographs. His first book Two Powers in Heaven: Early Rabbinic Reports about Christianity and Gnosticism demonstrates his trademark synthetic reading of late ancient religions—situating rabbinic texts alongside and in direct conversation with early Christian and Gnostic sources. In his book Rebecca’s Children: Judaism and Christianity in the Roman World, Segal brings the insights of social theory to the study of Judaism and Christianity in the Roman period. Segal’s book Paul the Convert: The Apostolate and Apostasy of Saul the Pharisee places Paul and his conversion within the historical, cultural and religious context of first-century Judaism. Finally, Life After Death: A History of the Afterlife in Western Religion is the result of more than a decade of Segal’s scholarly life and has acquired a large readership from both specialists and non-specialists alike. Through these four monographs and his many articles, reviews, seminar papers and public lectures, Segal challenges conventional understanding of the Biblical texts and his work continues to push others in the field to explore the inter-religious understandings of late antiquity. During his academic career, Segal contributed to the training of many graduate students and the development of professional organizations such as the American Academy of Religion and the Society of Biblical Literature. He was also instrumental in establishing the Ingeborg Rennert Chair of Jewish Studies and the Ingeborg, Tamara and Yonina Rennert Women in Judaism Forum at Barnard College. A fellowship fund was created at the college to celebrate his retirement and honor his memory. Segal is survived by his wife Meryl, who is a social worker at the Forum School in Ho-Ho-Kus, New Jersey.